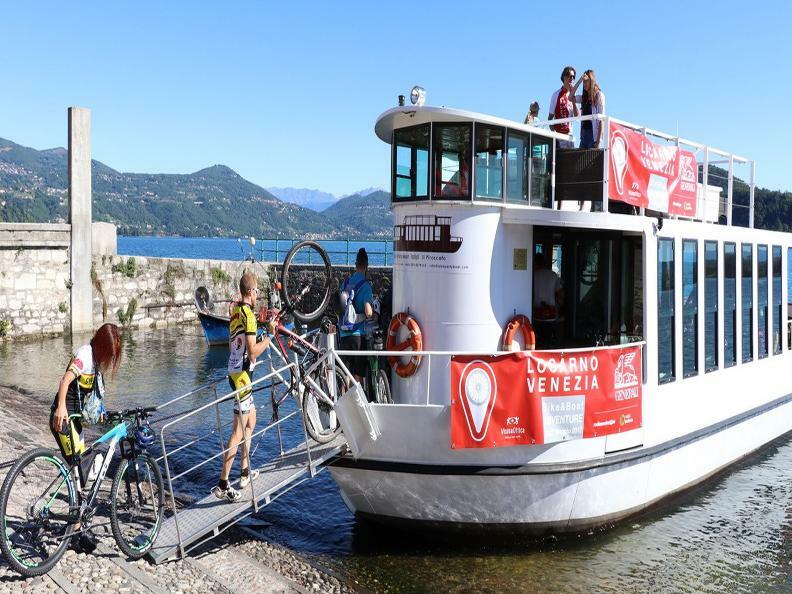 The Locarno-Venezia Bike and Boat Adventure project aims to conserve the former commercial route between Switzerland and Italy, now a tourist waterborne linkage across lakes, canals, rivers, deltas, lagoons, from the Alps to the Adriatic Sea; it is the oldest waterway in Europe, creating a unique watershed spanning 540 km. We will take you from Locarno to Venice with our fleet of boats, also traveling along natural pathways, to let you experience a journey unique in the world. 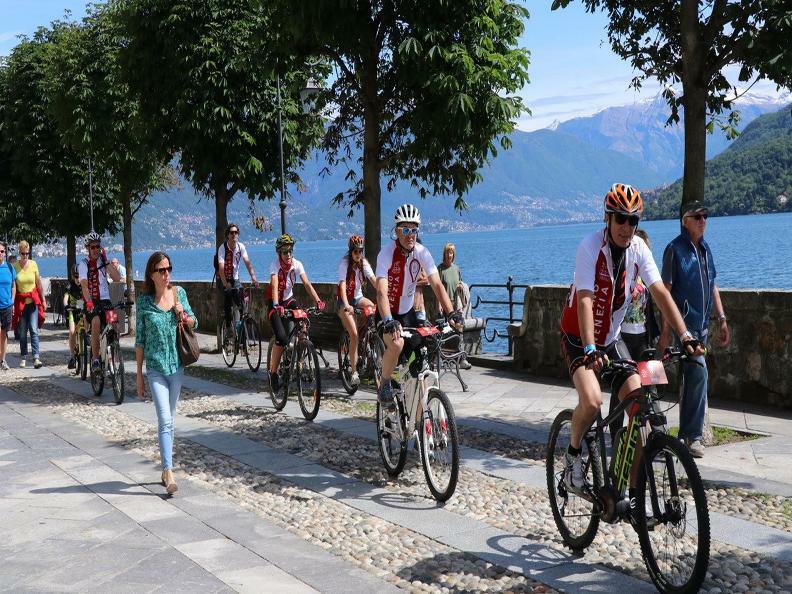 Bike routes on levee and embankments – along Lake Maggiore, Villoresi Canal, Navigli, Park of Ticino, Parks of Po River and Delta Po, across extraordinary and changeful landscapes – will finally lead us up to Chioggia, inside the Venetian Lagoon, into the ancient Capital of the Most Serene Republic. 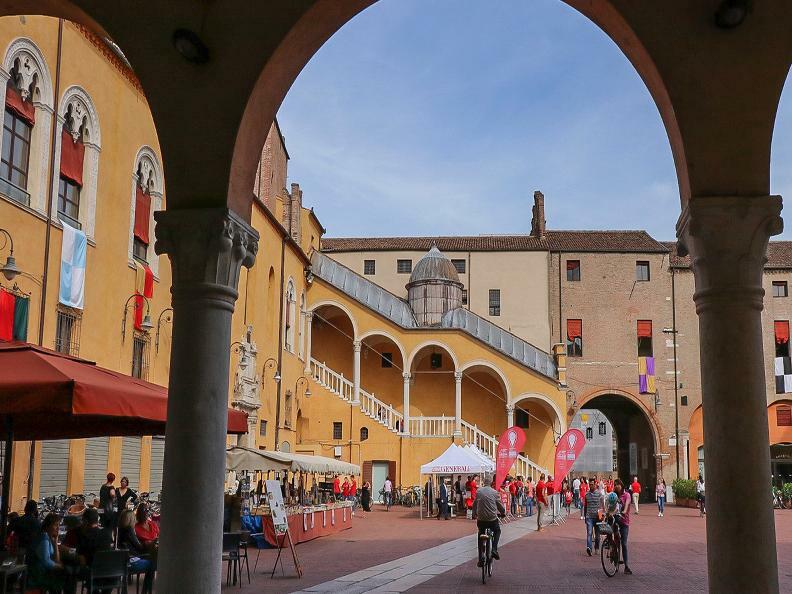 Every start and each end of stage will take place always in ancient downtowns of heritage cities, rich with cultural traditions, such as Locarno, Sesto Calende, Milan, Cremona, Mantua, Ferrara, Goro, Gorino, Chioggia, Venice. 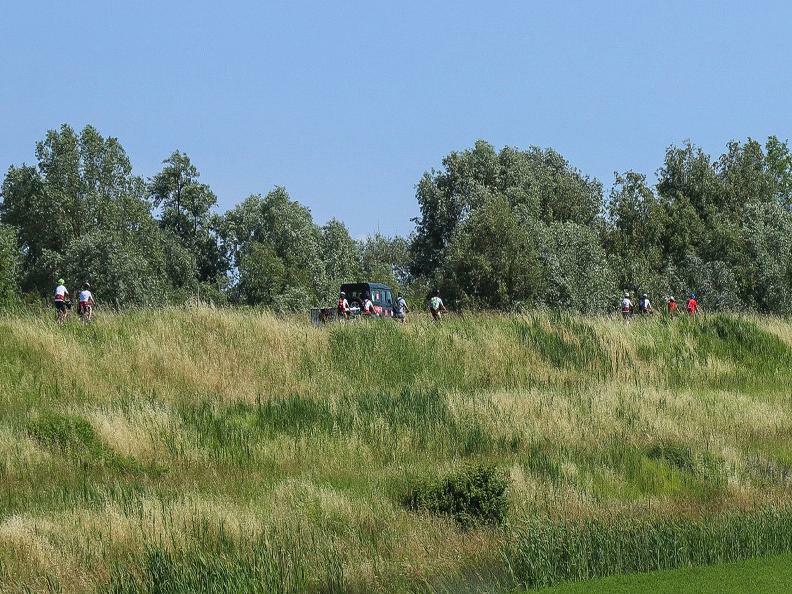 It is an adventure unique in the world, where nature and culture intertwined in a single unity, generating a charming route, where time has never passed, delivering an extraordinary trail. 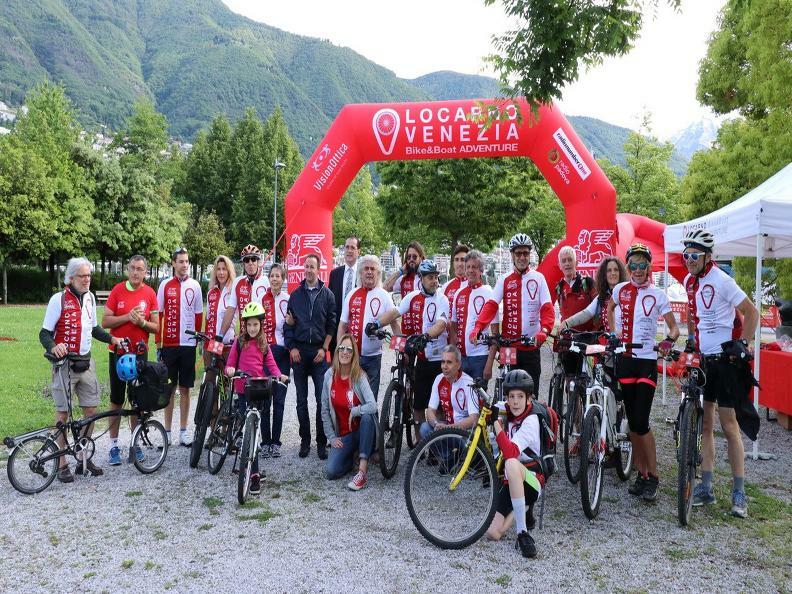 Locarno – Venezia Bike and Boat Adventure is a non-competitive cycling event. It offers the bike formula, or the bike + boat formula. 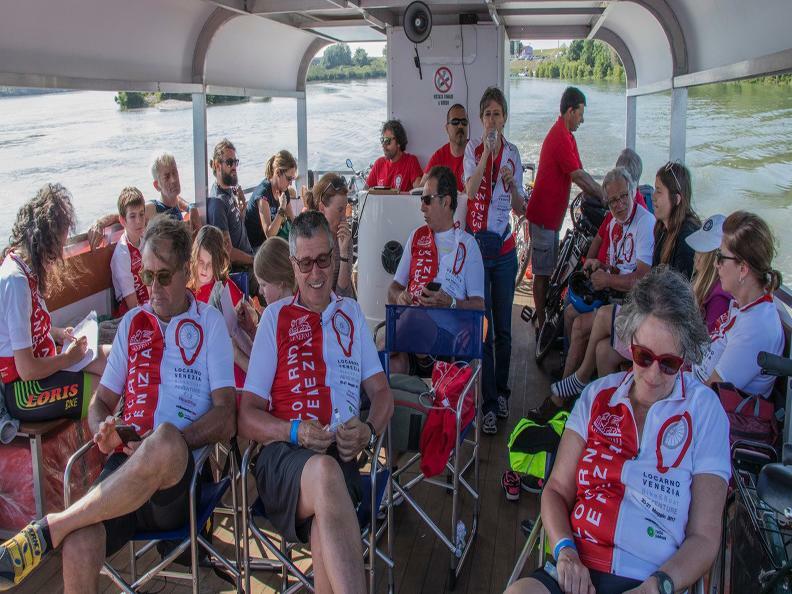 Participants can choose to complete the entire route only by bicycle or subscribe to the boat + bicycle formula with their bikes with them (each stage will take place half by owned bicycle and half with bicycles on board of boats provided by the organizators). 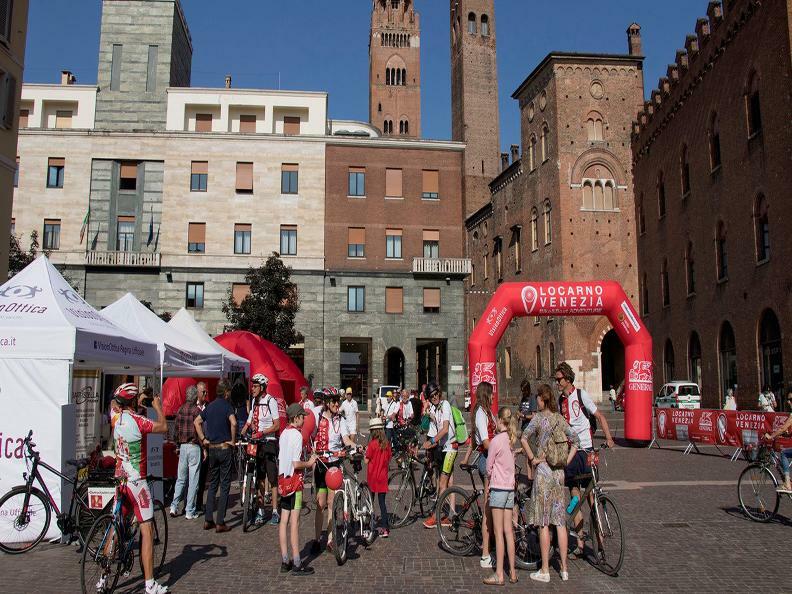 Participants can also enroll in a single stage, on a daily basis.